Botanical Tulips are amazingly beautiful. The biggest problem I have with them is that they immediate close when I cut them and bring them into my studio. My studio strobes apparently cause them to open slightly - making them ideal macro subjects. 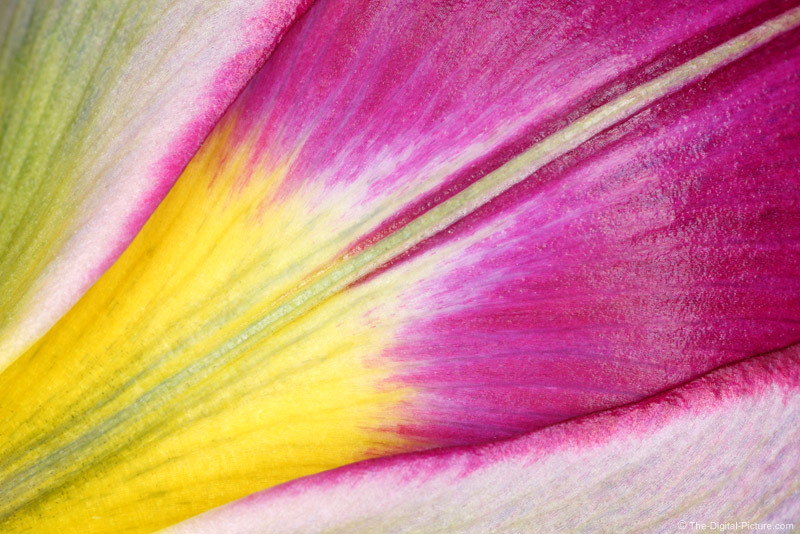 Note the various color transitions within the flower petals. A macro ring flash tends to hide textures in subjects, but the variety of colors in this subject takes over the image. To hold cut flowers in the studio (or anywhere else), I use a water tube commonly found on flowers purchased from a florist. I attach a flexible clamp to this tube for positioning.